Lt. Aquiel Uhnari works at a communications relay station way out in the middle of nowhere. She might be dead, she might be a killer, or she might be a pile of coalescent microorganisms. 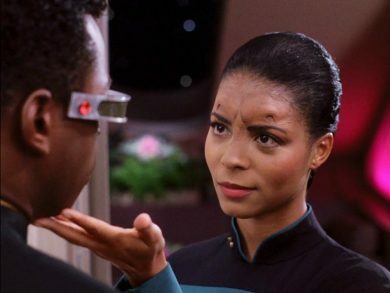 Doesn’t matter: either way, Geordi has got the hots for her. This week, Aquiel goes into the Mission Log.